Painting detail (2012). A mixed media layered four-paneled private commission featuring the inscribed words of playwright Megan Breen. Limited Ed CD Covers In Progress (2013). These hand painted one of a kind CD sleeves started one afternoon in Houston, Texas, when I decided I just wanted to paint something for myself while hanging out in the hotel room before the gig that night. All I had was a dozen of these brown recycled sleeves so I grabbed one and started in. Well, at that moment in walked Truckee Brother Christopher Hoffee and Steve Poltz who wanted to finger paint too so we all tucked in and painted the afternoon away. We had made so many that night we offered them for sale at the gig. Wouldn't you know it, they sold out, and I've been painting them ever since. Personal notebook pen and paint sketch (2012). My own personal Rorschach test. I seem to see flowers in random brush strokes more often than not. Must be my dad's influence with me growing up helping cut the flower crop and then digging out the beds in his greenhouses. 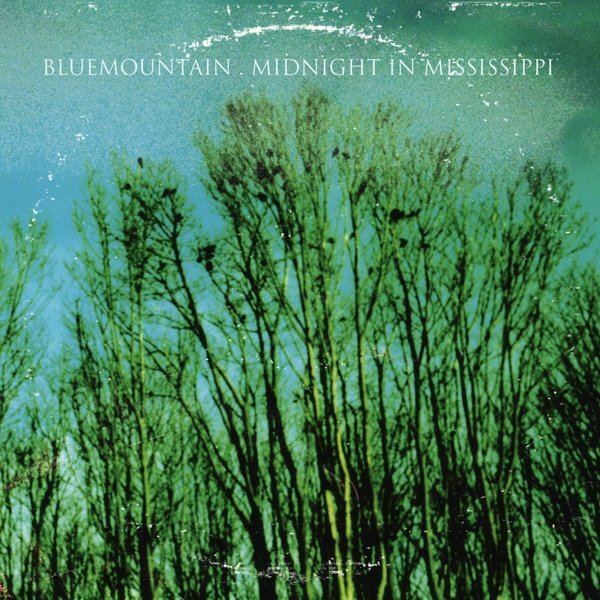 Blue Mountain Vinyl LP & CD (2009). Art Direction & Packaging Design. Photographer Frank Lee Drennen. Cindy Lee Berryhill CD (2007). Art Direction & Packaging Design. Cover lllustration by Mary Fleener. 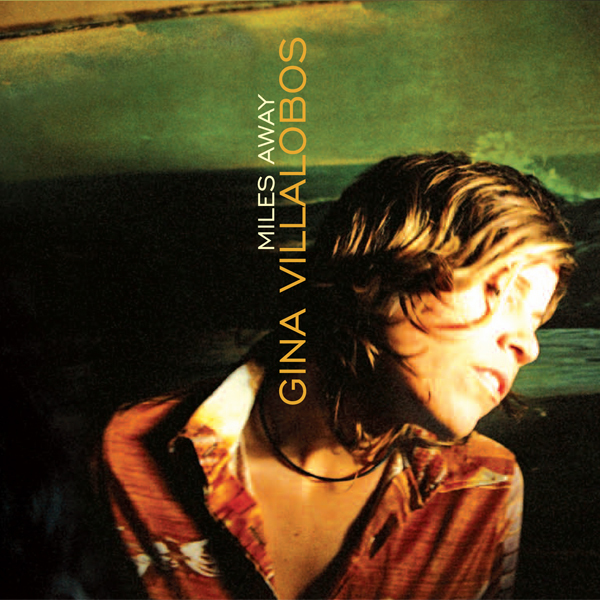 Gina Villalobos (2009). Art Direction & Packaging. Dead Rock West LP & CD (2011). Art Direction & Packaging Design. Photographer Jim Herrington. Hand Lettering Exene Cervenka. Brazilbilly Vinyl LP (2012). Art Direction & Packaging Design. We shot this picture outside the legendary Robert's Western World in Nashville between rain bursts on a quiet Monday night on the strip. This shot is actually a reflection of the band not a direct shot. Notice the Robert's sign which reads backwards. We used singer Jesse Lee's 1955 Cadillac's trunk lid, parked it outside of Robert's and placed the photographer Stacie Huckeba in a few precarious positions in order to capture the band in a modern twist on the classic old Nashville album covers of the 60s and 70s. Brazilbilly CD (2012). Art Direction & Packaging Design. We shot this picture about ten minutes after we got the vinyl version shot. Guitarist Chris Cassello was actually performing at Robert's that night and had run back in to play a few tunes while we waited out a short lived cloud burst. Again we were capturing the reflection of the band in the Cadillac's trunk lid to put a modern twist on the classic old Nashville album covers of the 60s and 70s. We took this shot just before we wiped down the car surface from the rain and got what I think is a beautiful image. If you look closely at the bottom of the shot you can see the entire length of Lower Broadway reflected in the car shape. Gorgeous. Steve Poltz CD + Bonus CD (2010). Art Direction & Packaging Design. 'Traveling' package featured 70s tip-on gatefold sleeve, a 'passport' booklet and white inner sleeve to hold the CD. In its 2nd sleeve would sit the Bonus CD 'Unraveling' which, sold separately, featured a 2 panel sleeve holding the CD and a 'rehabilitation certificate' with secret Poltz related information. Photographer Frank Lee Drennen. Steve Poltz CD + Bonus CD (2010). Art Direction & Packaging Design. Note the 'Unraveling' Bonus CD which, sold separately, was designed to slip into the 'Traveling' gatefold sleeve to complete the set. Photographer Frank Lee Drennen. Poster Art logo for West Coast Wirepony tour (2010). Steve Poltz. Hand drawn logo to accompany his 'Traveling' and 'Unraveling' releases (2009). Steve Poltz 'Traveling' Passport Logo (2009). Art Direction & Logo Design. Designed as the 'passport' logo for the accompanying booklet to Steve Poltz's 'Traveling' album package. The lettering was based on my own American passport which had mistakenly been put through the washing machine by my mother-in-law and so was a little worse for wear. Honky Tonk Records, Nashville, TN. Logo & Branding (2012). Created as the record brand for releases from artists connected to Robert's Western World. Angel Flight Recording Company. Logo & Branding (2014). Logo (2012). Design for Nashville's own, Brazilbilly. Logo (2012). Designed for VIrginia band Folk Soul Revival. Electra "Way To Roll" Promotional Video. Faced with the challenge of Electra Bicycles deciding that it would be great if we had a promotional video after the shoot for the 2009 Electra Bicycle campaign was already over, we came up with an inventive solution. We had reams of fantastic still images captured by the lens of Art Brewer during our three day shoot and a small amount of video shot of the San Diego portion of the shoot. Most of it would have normally gone unused because we just had so much great imagery to choose from. So we decided to build the video from those outtake stills using musical tempo and hard random cuts to capture the action and energy of those three fantastic days shooting onsite in Joshua Tree, CA and back down in San Diego. We licensed the music track that had inspired us performed by Mr. Tube & The Flying Objects and there we had it. A great promotional video which played around the world in retail locations, trade shows, on the web and in the company's own headquarters in the US and Europe. Photography by Art Brewer. Edited by Jeff Wiant. Produced by Nena Anderson. Directed by Patrick Dennis. Music Mr Tube & The Flying Objects. (2009). Electra Bicycles (2009). Creative & Photo Direction for 2009 International campaign. Photographer Art Brewer. The concept we created was that your Electra Bike becomes such an important part of your life, that it knows your secrets. Like this shot of Michelle, custom clothing designer, being watched while vamping by her Electra, companion and play pal. Electra Bicycles (2009). Creative & Photo Direction for 2009 International campaign. Photographer Art Brewer. The concept we created was that your Electra Bike becomes such an important part of your life, that it knows your secrets. 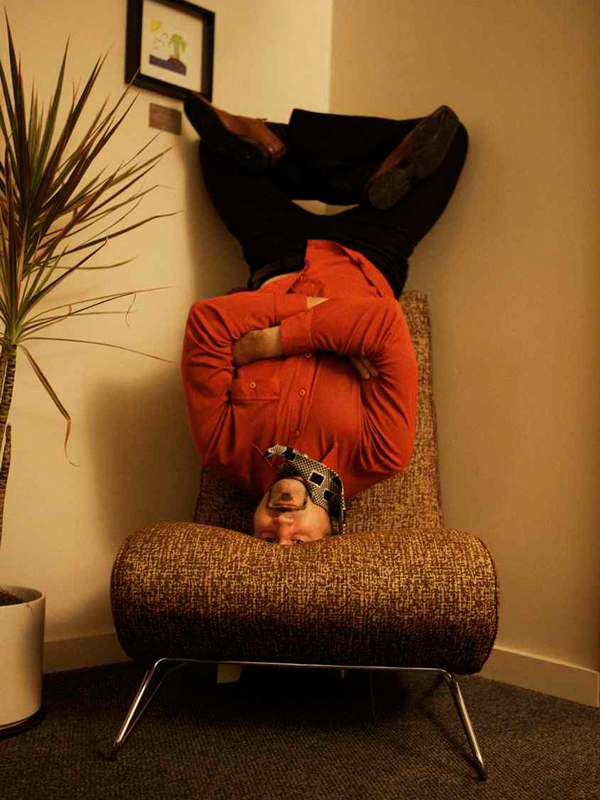 Like this shot of Christopher Hoffee, musician with Truckee Brothers and record producer, just hanging around in his front room. Electra Bicycle (2010). Creative & Photo Direction again for 2010 International campaign. Photographer Art Brewer. The concept was space, fun, wide open sky, beauty and simplicity of time with your Electra. This was a close up of Brandon Lomax, Artist, Painter and born traveler. Electra Bicycles (2009). Creative & Photo Direction for 2009 International campaign. Photographer Art Brewer. The concept we created was that your Electra Bike becomes such an important part of your life, that it knows your secrets. Like this beautiful shot of a face through a window wondering of possibilities. Electra Bicycles (2009). Creative & Photo Direction for 2009 International campaign. Photographer Art Brewer. The concept we created was that your Electra Bike becomes such an important part of your life, that it knows your secrets. But even an Electra has secrets, like this shot of an Electra going for a late afternoon swim. Electra Bicycle (2010). Creative & Photo Direction again for 2010 International campaign. The concept was space, fun, wide open sky, beauty and simplicity of time with your Electra. This was an outtake actually used in the campaign of myself and my daughter Emma Dennis, of Wax Queen Standard and The Black Site, posing for Art's camera. Photographer Art Brewer. Electra Bicycles (2009). Creative & Photo Direction for 2009 International campaign. Photographer Art Brewer. The concept we created was that your Electra Bike becomes such an important part of your life, that it knows your secrets. Like this shot of Brigida Martinez, nurse with Doctors Without Borders, turning the tables on her bike leaned up in the pool room. Electra Bicycles (2009). Creative & Photo Direction for 2009 International campaign. The concept we created was that your Electra Bike becomes such an important part of your life, that it knows your secrets. This was just a beautiful shot taken in Pioneertown, CA from the back of a truck of the top line Electra Touring Bike. Photographer Art Brewer. Electra Bicycles (2009). Creative & Photo Direction for 2009 International campaign. Photographer Art Brewer. The concept we created was that your Electra Bike becomes such an important part of your life, that it knows your secrets. Like this shot of Michelle, custom clothing designer, caught in her run down Airstream caravan. Electra Bicycle (2010). Creative & Photo Direction again for 2010 International campaign. Photographer Art Brewer. The concept was space, fun, wide open sky, beauty and simplicity of time with your Electra. Blue Mountain CD (2010). Art Direction & Packaging Design. Photographer Frank Lee Drennen. Blue Mountain CD (2010). Inside panels. Art Direction & Packaging Design. Photographer Frank Lee Drennen. 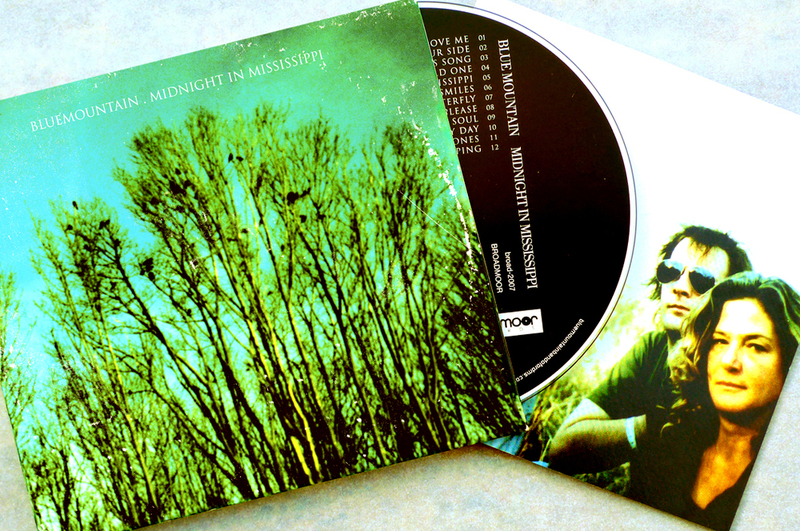 Blue Mountain CD (2010). Back Cover. Art Direction & Packaging Design. Photographer Frank Lee Drennen. "A Country Emergency With The Wrong Steve Poltz"
Our old tour manager for the Poltz & The Cycnics tours called me and asked if I could send a short video birthday message that he could surprise Steve with during his 3rd annual 50th Birthday gig at The Belly Up in San Diego and play on screen for the crowd. Well, I had just finished the project for Brazilbilly and discovered Jesse Lee's fabulous car collection. I decided to impersonate Poltz, enlisting Jesse Lee as a police officer, guitar slinger Kenny Vaughn as the doctor and writer/model and daughter of country royalty Payton Kemp as the nurse. It was freezing 20 degree weather and windy as all get out that morning. We had a blast though, and I hear that it made Poltz laugh out loud. I only got a few bruises from being thrown into Jesse Lee's Country emergency vehicle several takes in a row. To top it off I managed to convince country pop legend, TG Sheppard to do the final voice over, who was very gracious and obliging even though when he watched the final film he decided that I had a few marbles missing. He's probably right. Featuring the frozen talents (shot in 20 degree weather) of Kenny Vaughan, Payton Kemp, Jesse Lee Jones and TG Sheppard. Cinematographer & Editor Stacie Huckeba. Directed by Patrick Dennis. (2012). Dead Rock West CD (2006). Art Direction & Packaging Design. Photographer Frank Lee Drennen. This package featured a full color photo book of Frank's photo work, who is also in the band. We had a stack of film shots and negative scans to choose from that he had taken on tour and at home which made it both exciting and challenging at the same time. With such a rich and varied color and subject pallet to work with, we kept refining the choice of images that would compliment the lyric scattered throughout the book and best capture the wide cinema-scope nature of the music. I'm still amazed at how I ever finished this package on the ancient and failing Mac computer which I was working with at the time. It could barely process the extensive layout files with the doubly high-resolution scans of these film-camera shots that I insisted on. Somehow we did it and it came out fantastically. Dead Rock West CD (2006). Art Direction & Packaging Design. Photographer Frank Lee Drennen. Full color photo and lyric booklet. Dead Rock West CD (2006). Art Direction & Packaging Design. Photographer Frank Lee Drennen. Back cover and back booklet. Truckee Brothers CD (2007). Art Direction & Packaging. Cover painting by P Jay Fidler. Truckee Brothers CD (2007). Art Direction & Packaging. Inside panel photo by Jeff Wiant..
Truckee Brothers CD (2007). Art Direction & Packaging. Back Cover. Blue Mountain Vinyl LP & CD (2010). Art Direction & Packaging Design. Photographer Frank Lee Drennen. Back cover of the Vinyl version. Truckee Brothers CD (2005). Art Direction & Packaging Design. Front cover. I used the type and wear from three of my favorite albums growing up for this. The wear from my father's copy of Moody Blues 'Threshold Of A Dream' which he bought in Spain where I was born, the typeface and treatment from my copy of Springsteen's 'Nebraska' which I bought when I was 16 and forming my first band and the sales sticker from my copy of the Stones 'Let It Bleed' which i bought for 3 quid at a car boot sale when I was living outside Manchester, UK in the early 90s. Add in Frank's spooky shot of a looming reel to reel tape machine and we had the makings of a 1950s horror film poster, which is what we were going for after all. 'It Came From The Speakers'. Photographer Frank Lee Drennen. Truckee Brothers CD (2005). Art Direction & Packaging Design. Front & Back Covers. The year after this record was releasedased the very same wear I'd lifted for it from my old record collection was used on the Capitol Records release of Reeve Oliver's 'Touchtone Inferno!!!!' designed by Truckee supporter and Wirepony band member Otis B. It became our own private joke making the rounds having been used on several projects since then by both of us as a tip of the hat and wink of the eye. Photographer Frank Lee Drennen. 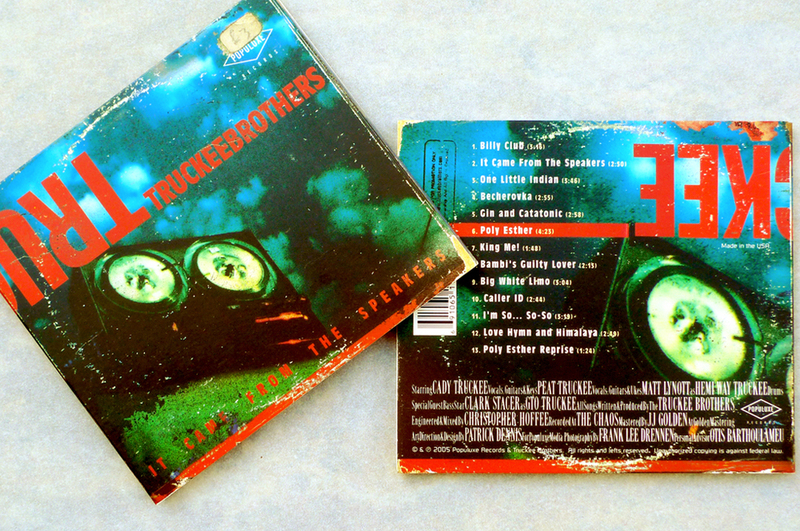 Truckee Brothers CD (2005). Art Direction & Packaging Design. Inside panels. The erie film-camera cross-processed treatment of Frank Drennen's shots really added to the off-kilter zappa-esque horror-film album that had been made. Of course, that inside panel picture of the band nearly resulted in Hoffee being face melted by the industrial lamp used to get such a hot shot. Photographer Frank Lee Drennen. Dead Rock West Vinyl LP & CD (2011). Art Direction & Packaging Design. Photographer Jim Herrington. Hand Lettering by Exene Cervenka. Back cover of the Vinyl version. Oren's Tower (2010). Framed print from my limited edition series 'Travel Eye'. A four-set series of 4 images each taken while on tour and traveling. These were sold in a very limited quantity. This particular print was a gift for my friend Oren Oubre in Austin TX to help raise money for his cancer treatment. iPhone (2013). An example of my fascination with trees, late day sunlight and sky. Taken in East Nashville, TN one cold winter afternoon. iPhone (2013). An example of my fascination with clouds clouds clouds! Taken in New Mexico hills while teaching my son to drive by putting him behind the wheel in Memphis, TN and only letting him back out when he arrived in San Diego, CA. iPhone (2013). Another example of my fascination with trees, late day sunlight and sky. Taken on the Virginia / Tennessee border during a road trip with my friend and guitar b-bender Dave Gleason driving toward a night of mayhem in Knoxville, TN.